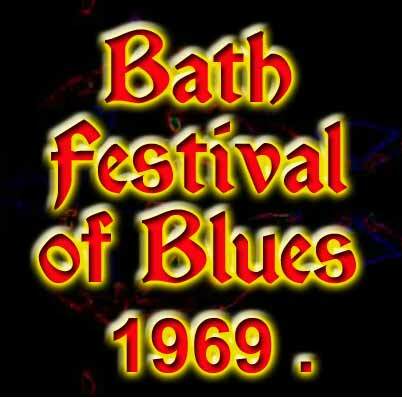 The Bath-Festival of Blues was no picnic for the poor kid stranded in the middle of the football field and badly in need of a public convenience. As one peered out on a veritable sea of heads (pun? ), it appeared as if there were two or three more hippies than blades of grass on the field. 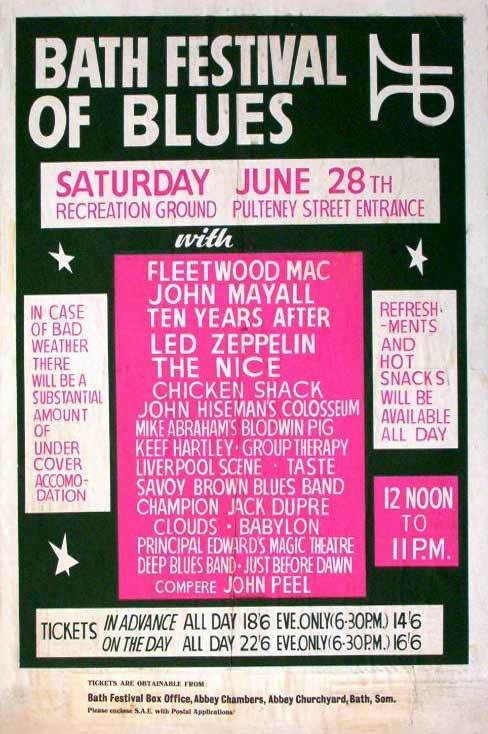 40,000 or more raving music buffs migrated to the site on Saturday the 28th via train, plane, car, foot or meditation to see the vast line-up of acts, which included among others, Fleetwood Mac, Lep Zeppelin John Mayall, Keef Hartley Band, the Nice, Roy Harper (? ), Chicken Shack, Liverpool Scene and a never~ending list of others. The stages (two) were barely visible from the opposite end of the field, but the sound was audible throughout the grounds. Hot dogs were being consumed with gusto and there was a run on the ice cream van which put poor old Luigi under great stress. People shuffled through mile-long queues, forget-ting half way, what it was they were queueing for. A space forty feet from the stages was worth its weight in Watney's.
" `It was an exceptionally good festival, but I think they should have erected a scaffold or bleachers in the back so all of them could see. Also the bar went dry!" "We're not supposed to drink, so the bar doesn't affect us (cheesy grin,)” said ZepPelints lead singer Robert Plant, . "The only drawback to the show was the short sets. We have trouble with short bits because you can't connect as people unless everybody has a chance to do their solo. But still. there were a lot of acts to go on! "